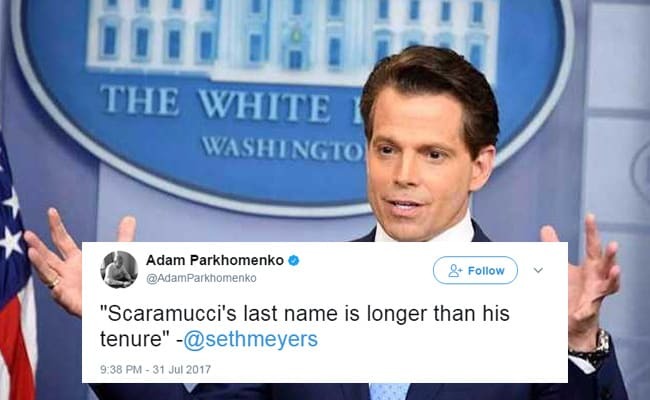 Twitter is busy listing out everything that has lasted longer than Anthony Scaramucci in office. Scaramucci, my manicure lasted longer. I've had scrabble games last longer than Scaramucci.